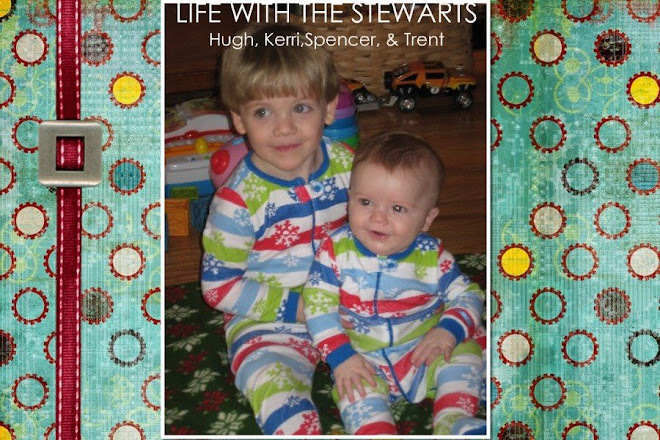 Life with the Stewarts: Awaiting a new addition! Spencer is more than ready for Trent to arrive. I think most of all he wants Trent out of Mommy's tummy because there is little room for him to sit in my lap. Ha! He often tells Trent, "Get out of Mommy's tummy," or "Come out and see me." I am anxious to see how he will handle having to share the attention of Hugh and me. Spencer is getting so big! It's amazing that he is almost two and a half years old. Spencer fishing at Mama & Papa's lake. Daddy teaching him how to fish. Look at how far he can cast a fishing rod. It was almost 15 feet!! After playing hard outside, he stripped down to have a popsicle. 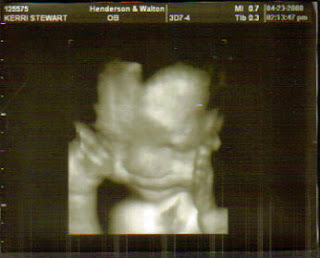 Speaking of Trent...he is scheduled to arrive June 19th via C-section unless I go into labor before then. We are just thrilled that we have made it this far. I am almost 37 weeks. 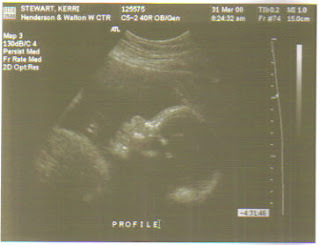 It is hard to believe because I only carried Spencer 32 weeks. 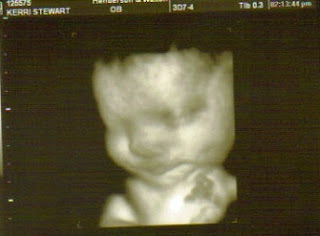 I hope you enjoy the 2-D and 4-D ultrasound pics of Trent. I hope you all will continue to check out our blog. Let's hope I can keep it up once little Trent arrives. Please keep us in your prayers. Yay...another blog to read! I enjoy updating our blog and sharing pictures of the boys and I also like reading our friend's blogs, too. I can't wait to meet Baby Trent! Trenton John Stewart has arrived! !